We’d like to introduce Judy Gibbs, a creative DIY and Hometalk contributor. 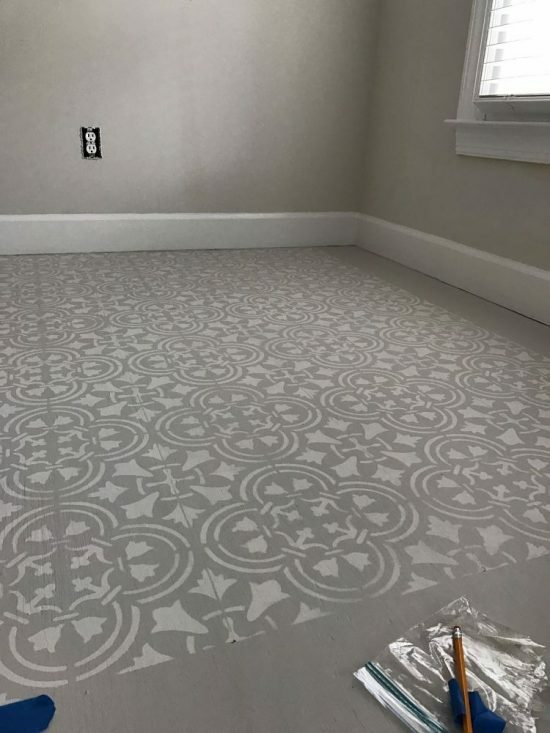 Judy spotted a picture of a stenciled floor on Hometalk and fell in love with the idea. 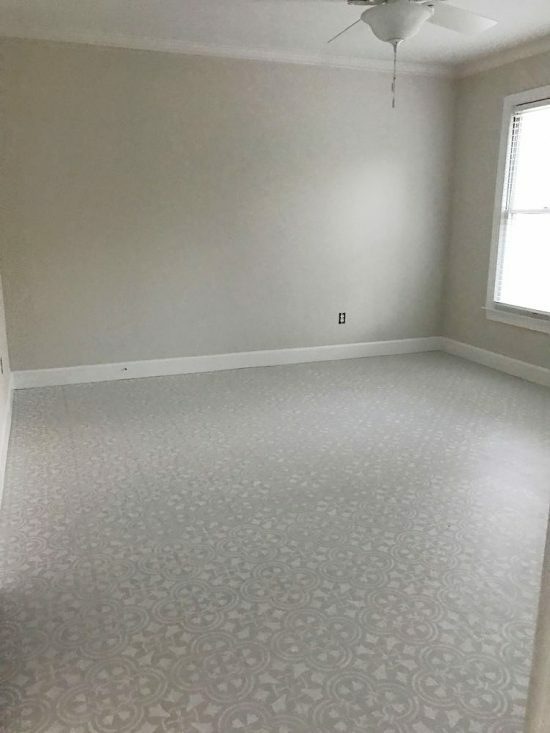 Stenciled floors have become one of the hottest DIY decorating trends. 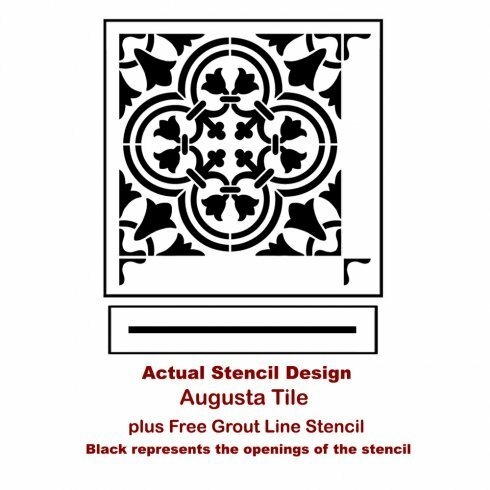 So Judy browsed our large collection of tile stencils and selected our Augusta Tile Stencil. This Portuguese- inspired pattern brings exotic flair to any floor or wall. Judy chose to attempt this DIY project in her guest bedroom. 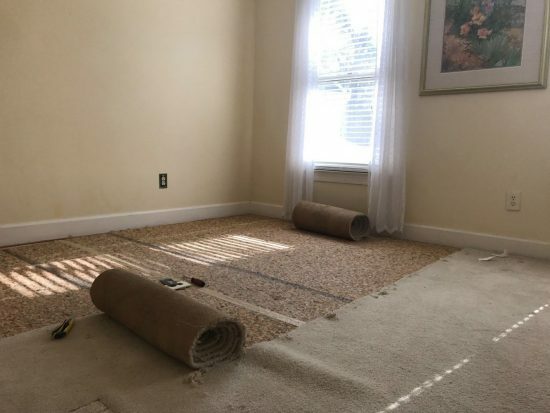 The first thing she did was rip up the old carpet. Then she used spackle to fill in the cracks. Judy sanded the floor so it was smooth and she was ready to start painting! She applied one coat of primer. We like STIX primer for a project like this. 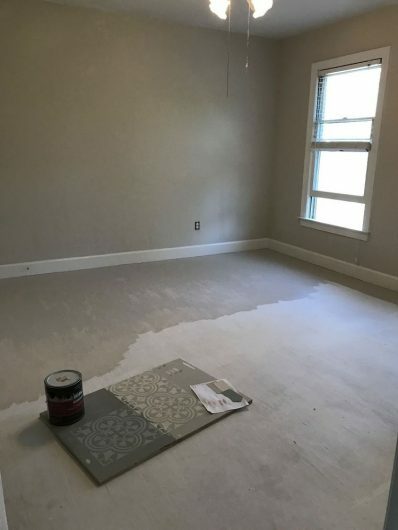 Then she painted the floor in a neutral gray hue using a roller. Judy let the base coat of paint dry overnight and then she began stenciling. 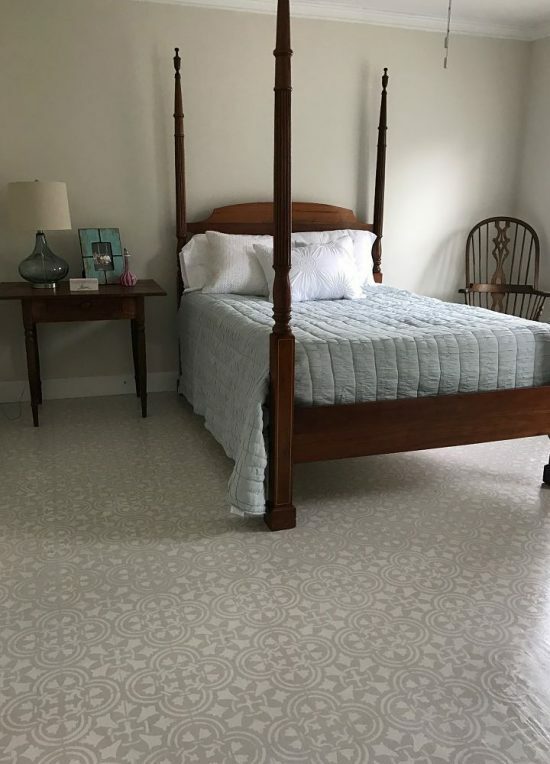 She used blue painter’s tape to hold her Augusta Tile Stencil pattern in place. 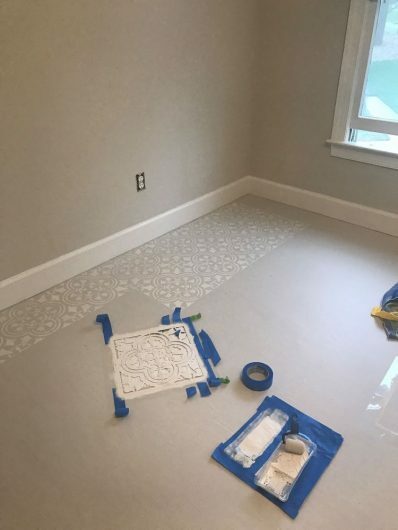 Then she painted the tile design in white using a small dense foam roller. Judy would lift to reveal the pretty painted pattern. After each section was complete, she would un-tape the stencil and reposition so the entire floor would be painted. If you are recreating this project at home, be sure to roll off any excess paint on a piece of paper towel. Too much paint will cause the design to bleed. After the stencil was complete, Judy applied three coats of Minwax clear acrylic semi gloss. She wanted to protect her pretty Tile Stencil. Tell us, in what room in your house would you consider stenciling a trendy tile pattern? We’d love to read your thoughts in the comments below.